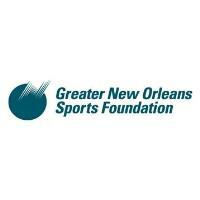 NEW ORLEANS – The Greater New Orleans Sports Foundation (GNOSF) is celebrating 30 years of successfully attracting and managing major sporting events to Louisiana and the Greater New Orleans Area. Since its inception, the GNOSF has hosted hundreds of sporting events benefiting the citizens, businesses, youth and facilities of Louisiana, generating billions in economic impact and positive media exposure. The success of the Sports Foundation has elevated Louisiana and New Orleans as the premiere destination for major sporting events. The milestone was detailed in a press release. The GNOSF has hosted some of the biggest sporting events in the world, including three NFL Super Bowls, two WWE WrestleManias, four NCAA Men’s Final Fours, three NCAA Women’s Final Fours, three NBA All‐Star Games, four Bassmaster Classics, the USA Olympic Track and Field Trials, the USA Olympic Weightlifting Trials, seventeen R+L Carriers New Orleans Bowls, three AAU Junior Olympics, and numerous NCAA Men’s and Women’s Basketball 1st/2nd Rounds and Regionals. In addition to an unmatched history of success, the Greater New Orleans Sports Foundation and its partners have secured many of the world’s largest sporting events for future dates. These events include the 2020 College Football Playoff National Championship, 2020 Women’s Final Four, 2022 Men’s Final Four and the 2024 NFL Super Bowl. By 2024, the GNOSF will have raised $100 million in private fundraising in support of the major events hosted. This private fundraising, combined with a projected $50 million in public fund investment, will have created over $3.44 billion economic impact for the State of Louisiana and the Greater New Orleans Area. GNOSF detailed the financial impact created by specific sporting events. Superbowl 2013 financial impact: The event generated a total net economic impact of $480.0 million, comprised of $262.8 million in direct spending and $217.2 million in secondary spending. This spending also resulted in the creation of 5,672 full and part-time jobs,accompanied by $154.0 million in additional earnings. The NFL final also generated a total of $34.9 million in tax revenues for state and local governments. Superbowl 2013 attendees: 71,024; An estimated 108.4 million people watched Super Bowl XLVII, making it fall short of setting the fourth straight viewership record. In 2013, the Nielsen Company stated it was the third most-viewed program in television history.WrestleMania 2014 financial impact:The event generated $142.2 million in direct, indirect and induced from spending by visitors. Of that $142.2 million, $22.5 million was spent on hotels and accommodations within the New Orleans region and $10.7 million was spent by visitors to New Orleans at area restaurants. WrestleMania 2014 attendees: 75,167; This marks the third straight year that WrestleMania has generated more than $100 million in economic impact for its host city. WrestleMania 2018 financial impact: WrestleMania 34 generated $175 million in economic impact for the greater New Orleans region this past April, according to a study conducted by the Enigma Research Corporation. WWE announced at WrestleMania 34 tonight that it has broken the Mercedes-Benz Superdome's record for highest-grossing entertainment event with a record of $14.1 million. The venue's previous record was also held by WWE, $10.9 million for WrestleMania 30 in 2014. WrestleMania 2018 attendees: 78,133; Fans from all 50 states and 67 countries attended WWE’s pop-culture extravaganza this past April.